DEATH. Mysterious. Inevitable. End. Heriotza. Död. Thihna. Just a five letter word in English that says so much, that defines even greater. Five dreadful words that ascertain lost and goodbye. Death is when people shed their corporeality and are transposed into a memory. An itching memory etched into our humdrum existence that abuse our time, haunting our hourglass. Death is when a flat line appears on the oscilloscope screen and we believe only by faith that a person is taken to a greener pasture to rest while we wander in this disorientation called life. Death is when we weep and howl our nights away in solitude, in melancholia; plagued by the remnant of photographs like memories stuck to us like a leech. Death divides. We wept and weep, while we are the ones left – to wander in a labyrinth with the minotaur on our trail where no Athenian hero came to our rescue holding onto that skein of thread. PIERRE, MAGNAN, The Messengers of Death. My summer vacation was all planned out. I was happy to be finally home in that little town I talked so often about, that little quiet town in the far north-east of India, that little town I’m going to write about someday – Aizawl. But the tides of misfortune splashes across and all dreams of plans were turn to nothing. Our family suffer the lost of a beloved uncle(my mother’s elder brother) who for years have held on through the worst and is now taken away from us to freedom. A great man and a great cook who appreciate good food, a connoisseur of traditional food and above all a father and a brother. It’s vehemently agonizing to watch him grind in pain as he slowly succumb to demise. And it’s a greater pain still to know that in his last days he wasn’t able to eat anything at all – such a tragedy to someone who love to cook with heart and soul. Heaven. All of us have our own idea of what it will be like. For me it’s an endless line of abundant buffet of all things delicious where I don’t have to worry about my waistline or my weight. RIP LALTHANZUALA, eat your heart out. And wherever you are I hope you found fullness. Here’s to your beautiful memory, leaving cooking and eating the more blest for all time. Has blossomed on the other side” Isabel Hope. Tags : Death. 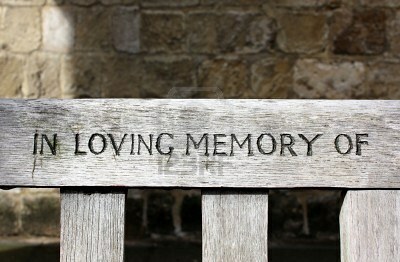 Beautiful Memory, In Loving Memory. Oh!anu’n i pu chhun nh hy t…a tha khopmy..:-)k hretiam tha m2 cuaglo na a..
hahahha….a van ti lomom ve a…a dang te poh k dah hunah in lo chhiar thhin don nia.